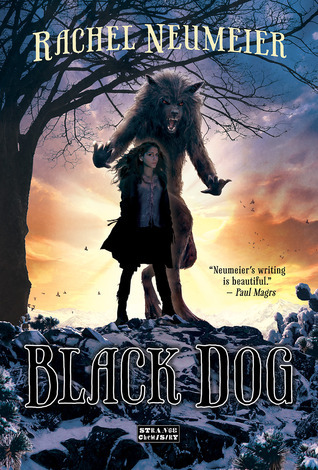 Summary: Natividad is Pure, one of the rare girls born able to wield magic and protect humans against the supernatural evils they only half-acknowledge – the blood kin or the black dogs. Before Natividad’s mother can finish teaching her magic their enemies find them and their entire village in the remote hills of Mexico is slaughtered. Natividad and her brothers must flee across a strange country to the only possible shelter: the infamous black dogs of Dimilioc, who have sworn to protect the Pure. They must pass the tests of the Dimilioc Master. But, first, they must all survive the looming battle. Review: This book left me with a lot of conflicting feelings. I also loved that Neumeier left a lot of the history of this world for us to fill in on our own. There are a few references to a previous supernatural war and how with the vampire magic gone, “normal” humans have started to figure stuff out about the black dogs, but by and large this world is one you have to piece together on your own. This is quite the feat, considering the primary action of the book takes place roughly within a single week in a very small geographical area (memories of Mexico and a quick side-trip to Chicago aside). Neumeier makes good use of her dual narrators: Natividad, and Alejandro. By giving us POVs from both of them, the reader gets a better grasp on what it’s like to associate with or be a black dog, which is essential to understanding some of the subtler pieces of storytelling. They both spend a lot of time thinking about what their body language conveys on the not-a-threat to definitely-a-threat spectrum, and the small details of whom sits/stands next to whom are important for understanding what’s going on. So far as the characters go, there’s a pretty good ensemble cast. There are standouts and there are bit players, but most of the characters are unique enough to be remembered. The three siblings are great, though I wish we had gotten more of Miguel. Grayson and Keziah were also favorites of mine. My one significant complaint in this department was Vonhausel, who despite being the major antagonist, gets very little screen time. So little screen time, in fact, that the only thing I remember about him aside from an end-of-the-book spoiler is that he really likes having his black dogs and shifters kill people. The second item is one that I’m not sure was intentional, and that bothers me more. One of the main plotlines of the book is essentially “people of color seek out stronger white people for help (and/or are pressganged into joining them).” Granted, said white people are nowhere near as strong as they used to be, and by the end Dimilioc only survives because of those people of color, but there are some seriously unfortunately implications when it comes to race in this book. Especially considering Thaddeus, one of the black dogs, falls very neatly into the Scary Black Man trope, complete with being the only black dog to fight in half-man form, being huge and rather violent, and being forced into joining Dimilioc (with a bonus of being dragged there in what are essentially chains with his wife and son as hostages). Recommendation: Borrow it someday or just skip it. If it weren’t for the last two items (and a few small disappointments in the resolution), this would be a book I wouldn’t hesitate to recommend. The prose is great, the action gets your heart going, and Natividad and Alejandro are fun characters, but the unfortunate implications left me with an awful aftertaste.